As the heat finally begins to break and the leaves change along the Wasatch front, most of us will agree the best season is almost here: sweater weather, Halloween decor and of course, pumpkin spiced everything! Even our beer is not safe from the Pinterest-populated pumpkin parade! But what if there was a beer style that encompassed everything we love about fall without making us feel so “basic”? Well, slip on your comfiest Ugg boots and get ready to live your best life, because Mabon is back! 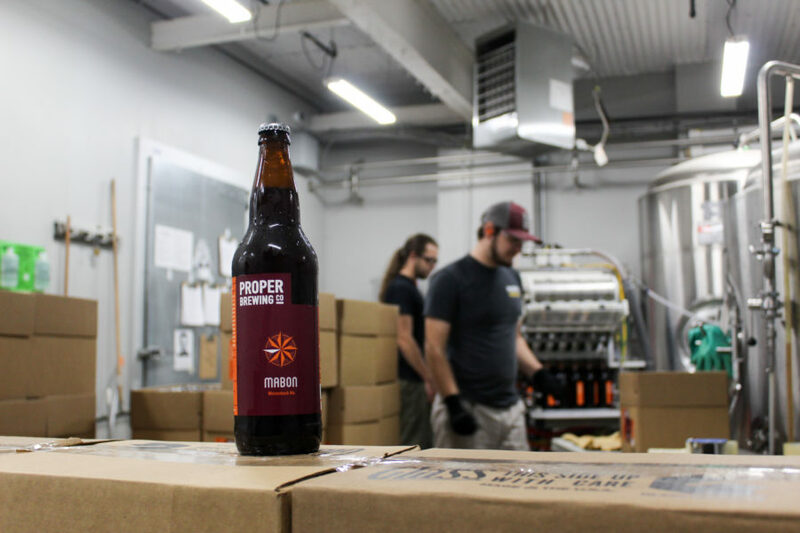 Named for the old English word for the Autumnal Equinox, Mabon Weizenbock is the perfect transition between refreshing summer weissbiers and rich autumn doppelbocks. 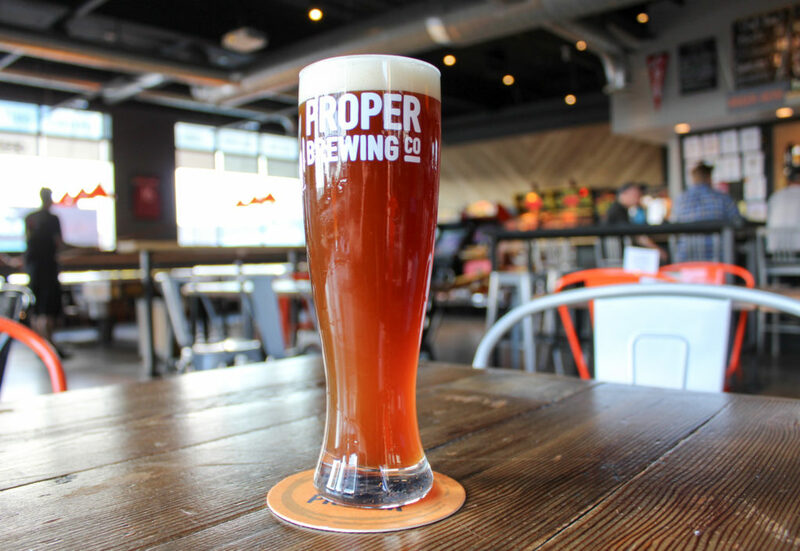 Following tradition, this beer is brewed with over 50% wheat malt in addition to toastier Munich malt for a luxurious rich base with notes of raisin and molasses. It is then fermented with a special top-fermenting yeast famous for producing flavors of clove, banana, vanilla and nutmeg typical of German hefeweizens. No spices are used in the making of this beer. 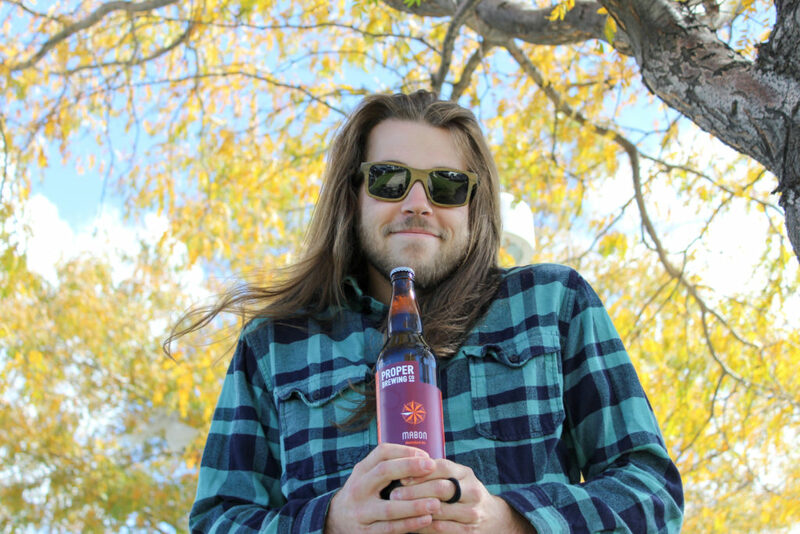 Add on the warming notes given by the elevated alcohol content of 7.3% and you’ve got yourself the perfect fall beer! So, put down your PSL and pick up something a bit more, well. . .Proper! Find the Mabon in our bar as well as to-go from our bottle shop 7 days a week while supplies last!